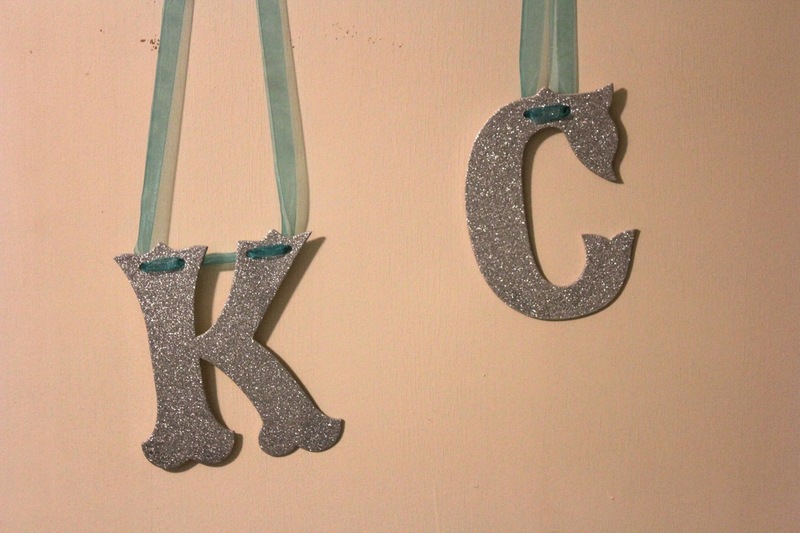 Last year Auntie Kimbe bought the girls these cute cardboard hanging letters from The Land of Nod. 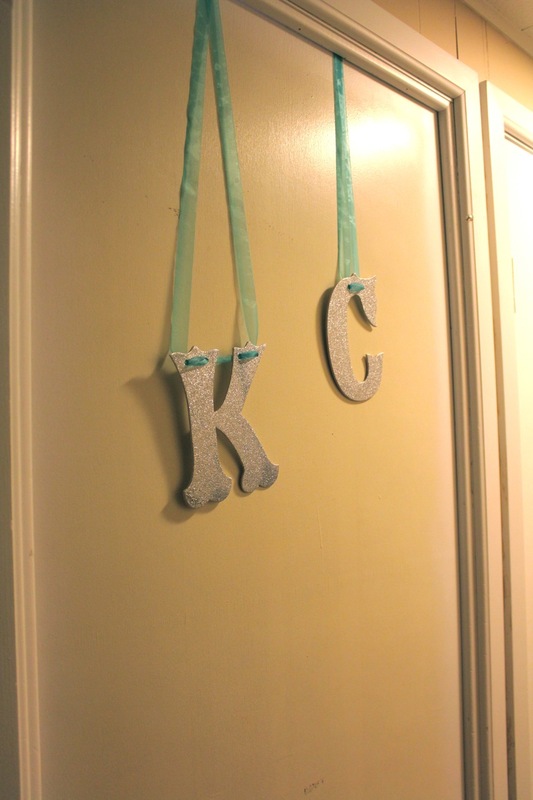 I really liked the shape of the letters but I wasn't crazy about the way that the patterns looked together. 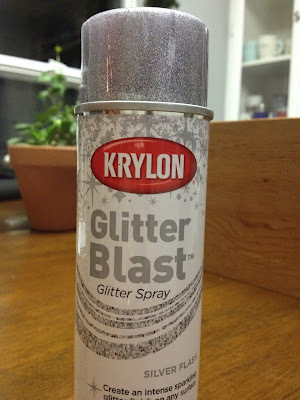 On a whim I picked up this Krylon Glitter Blast and I love how well it worked! 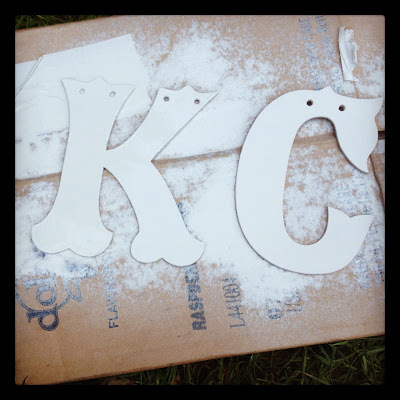 First I sprayed my letters with a little bit of white spray paint just in case there were any spots left after I glittered the letters. Then I applied 3 coats of the spray glitter... and voila super cute glittery letters! 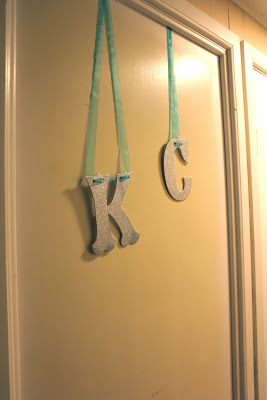 I love how the look hanging on the outside of the girls bedroom door! 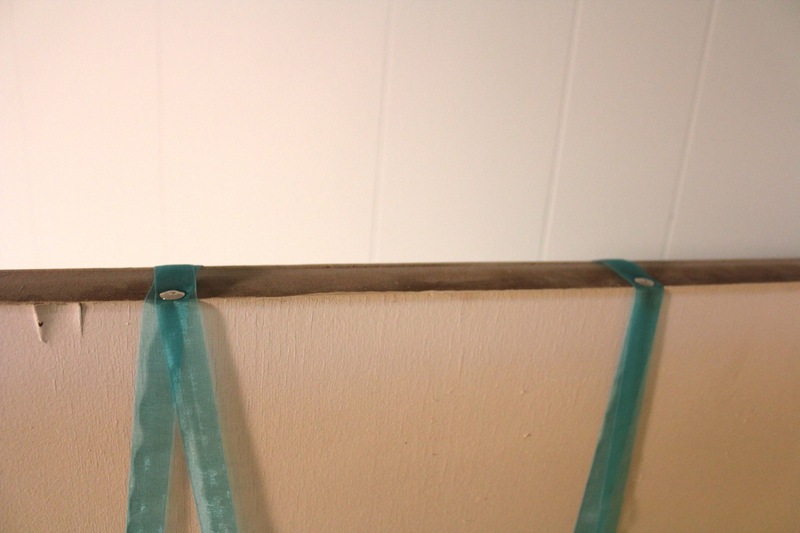 Here is a little trick for how to hang things on doors without a hook, use a thumb tack! Hammer the tack into the top of the door and you are good to go!! 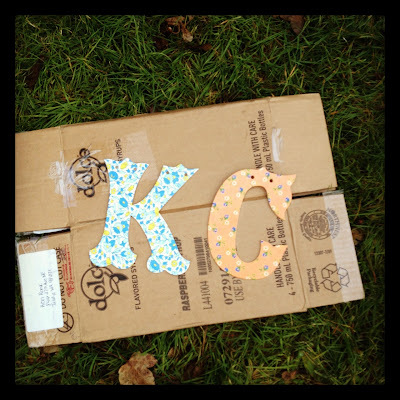 I'm linking to the Dare to DIY party over at Newlywoodwards! 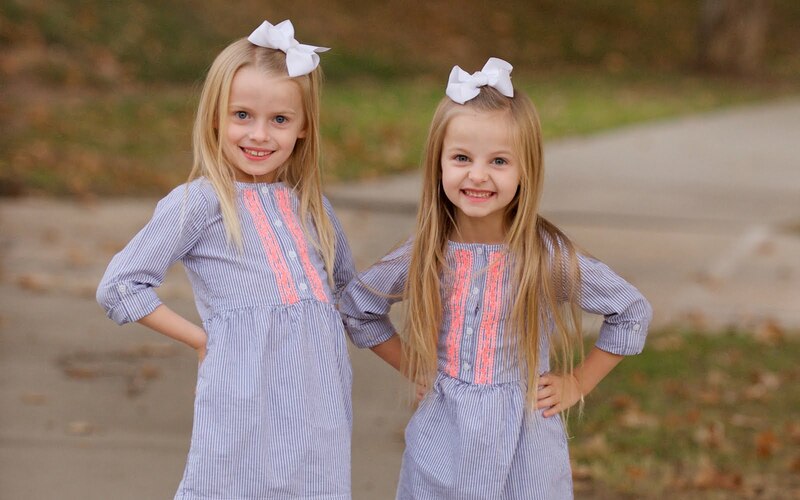 So cute!!!! 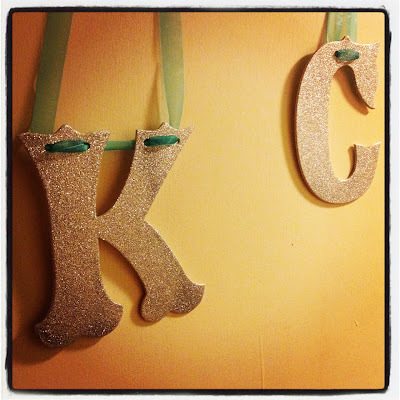 Glitter isn't boyish but it'll definitely do for Kylee!